Set of 2 high quality, rust-resistant stainless steel food bowls for puppies and dogs. 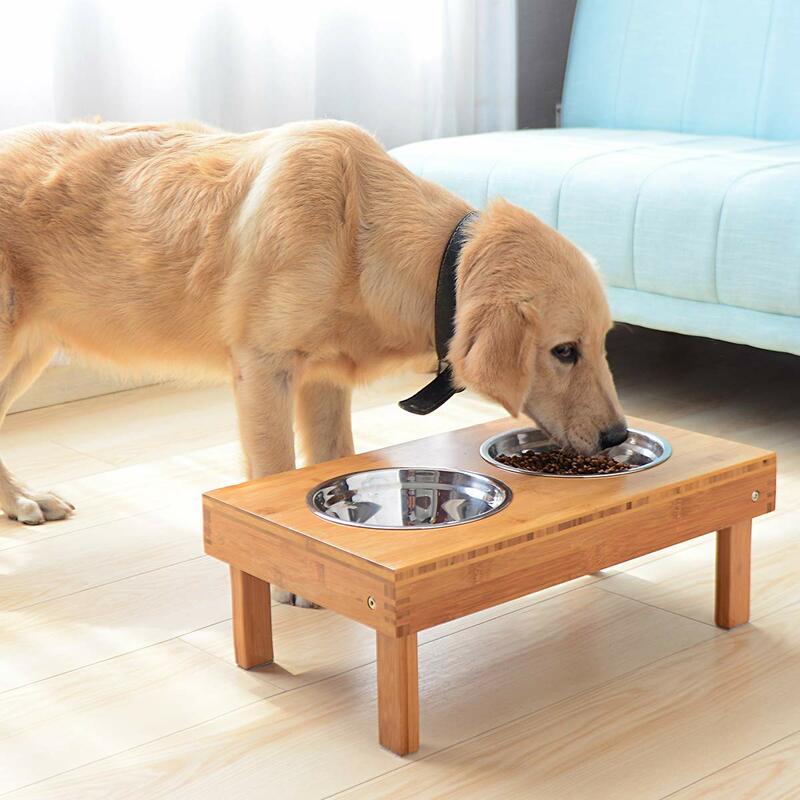 Reduces bloating in addition to strain on dog’s neck and joints, heavy duty dog bamboo stand is hard to kick down which will give you a clean floor. 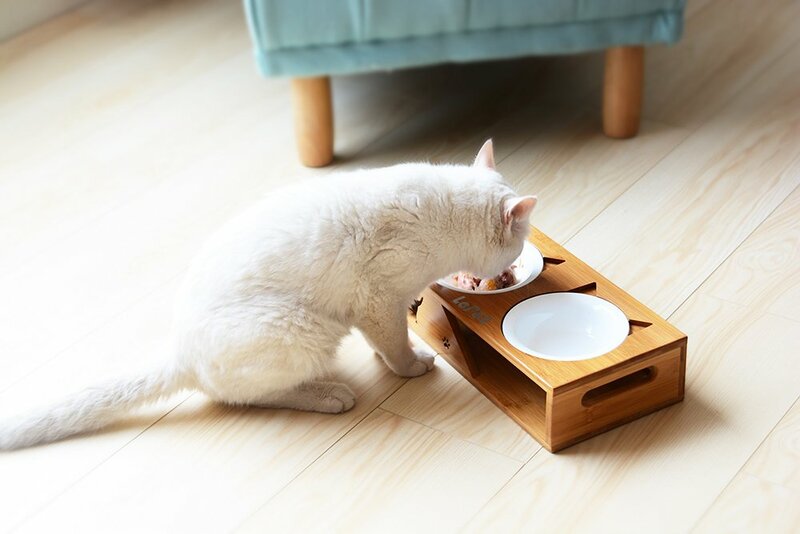 Height adjust from 2.5″ up to 7.3″ this adjustable dog bowls will accompany with your furry friends grow up. 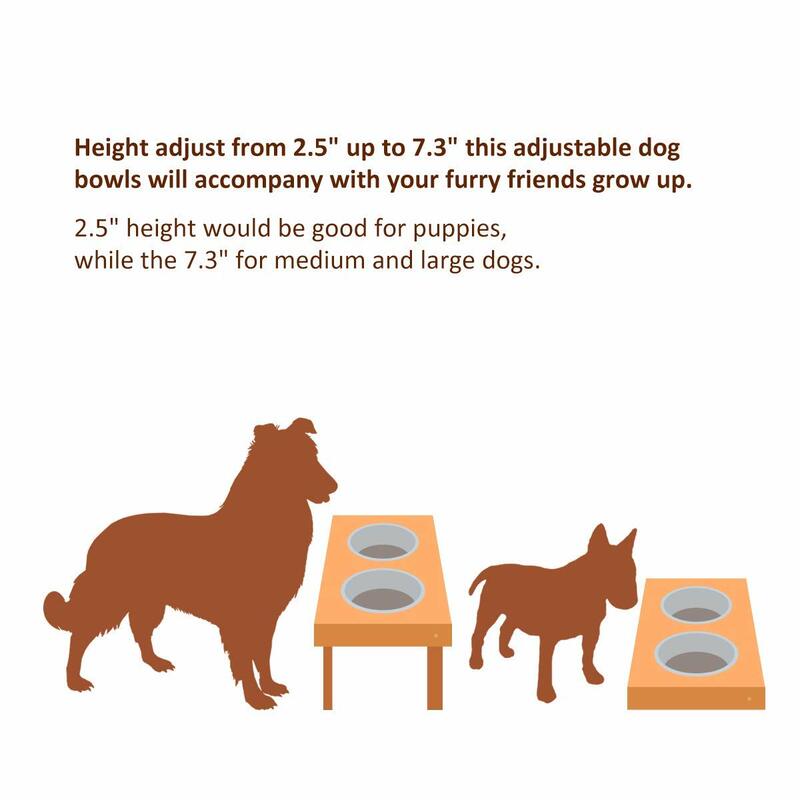 2.5″ height would be good for puppies, while the 7.3″ for medium and large dogs. 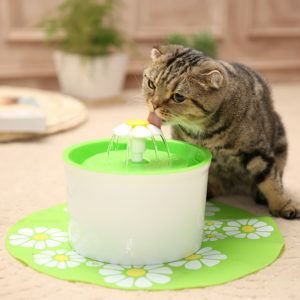 No need to assemble, just press the button down then lift the 4 legs up, our pet bowls gonna ready for your use. 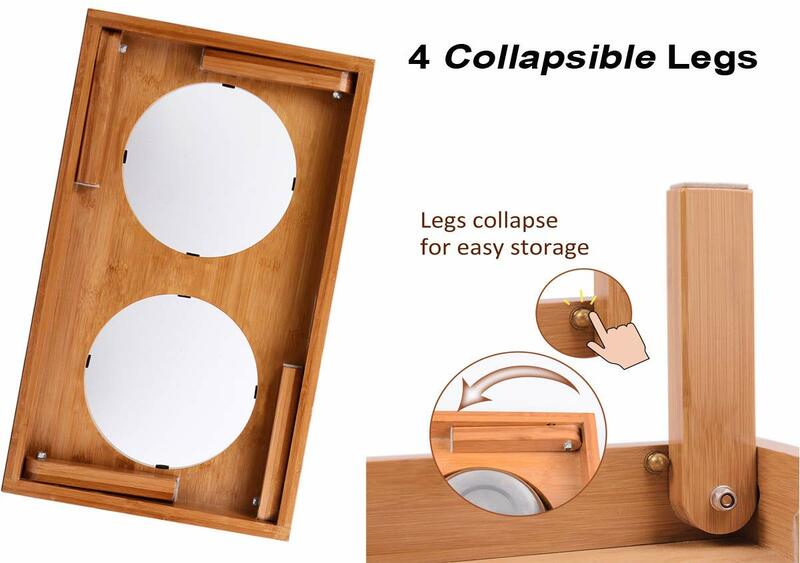 Collapsible legs make for easy storage. Easy to clean, the stainless steel bowls are dishwasher safe and microwave safe. 1.Stable stand design help dogs eat comfortably 2.Can be separated for easy cleaning 3.No roll over,Never soiled your carpet! 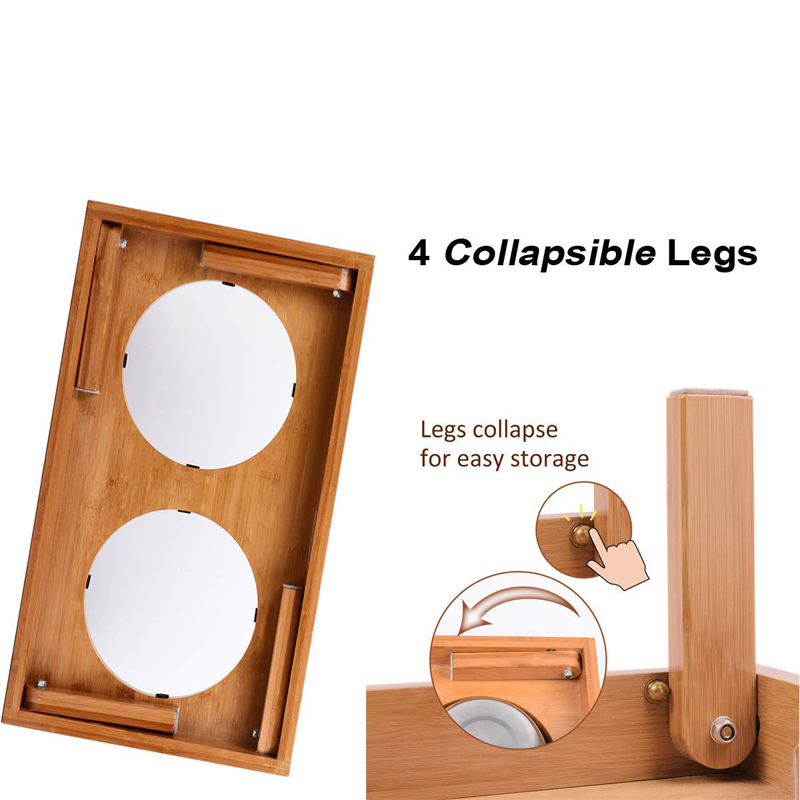 4.Eco-friendly material:stainless steel+Natural Bamboo 5.Durability for years,Shatter proof. 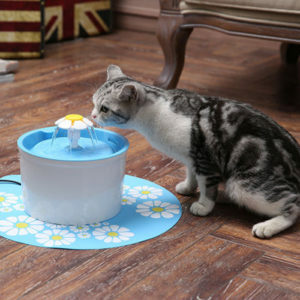 2.Productive 1000 Pieces of wholesale elevated dog bowls raised dog bowl stand per month ensures prompt delivery. 5. 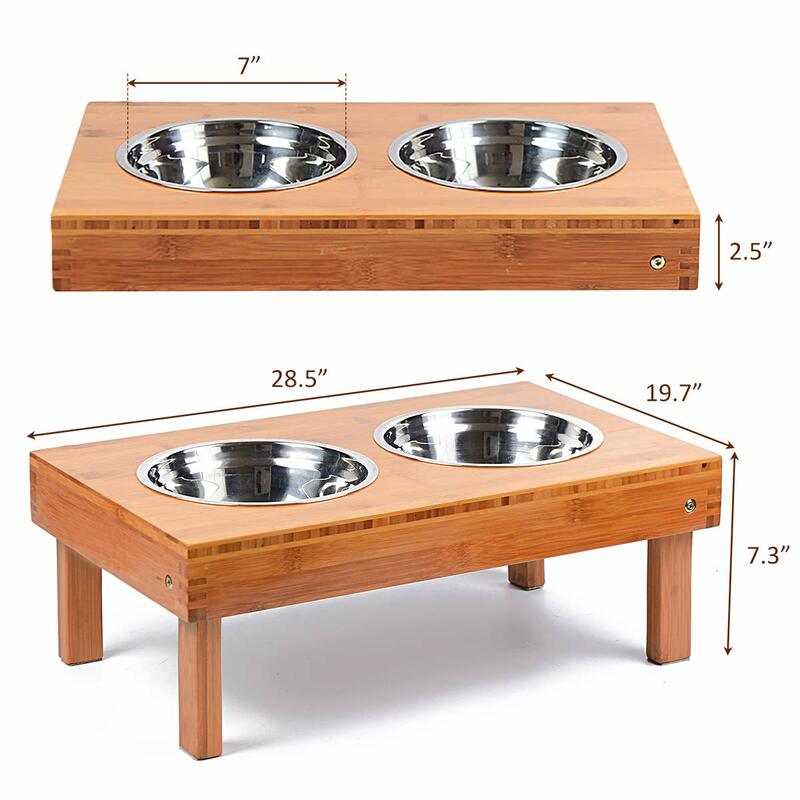 Warranty All wholesale elevated dog bowls raised dog bowl stand 2 year warranty.